Sedona by Lynx provides a high-quality outdoor vent hood to complete your ultimate outdoor cooking center. This unit features a heavy 16-gauge 304 stainless steel construction with smooth welded joints for a blend of style and durability that will stand up to the elements in any climate. 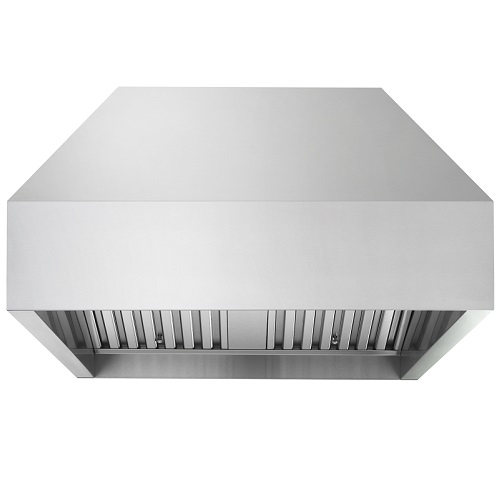 This unit is UL-rated for outdoor use to provide a commercial quality vent hood to help manage the high heat and exhaust created by high performance Sedona and Lynx grills. The 3-speed blower motor control is designed to operate the included 1,200 CFM internal blower motor, while a built in high heat sensor provides added safety and the removable baffle system is easy to clean. Integrated 50-watt halogen lights provide enhanced visibility in low light conditions for a better user experience. The entire line of Sedona and Lynx Professional outdoor kitchen equipment features the same polished stainless construction for a matching stylized look to transport your kitchen outdoors.